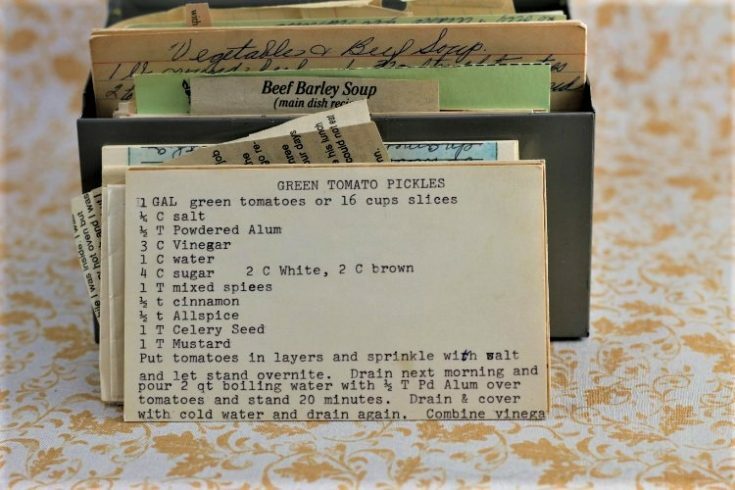 Front of the recipe card for Green Tomato Pickles. 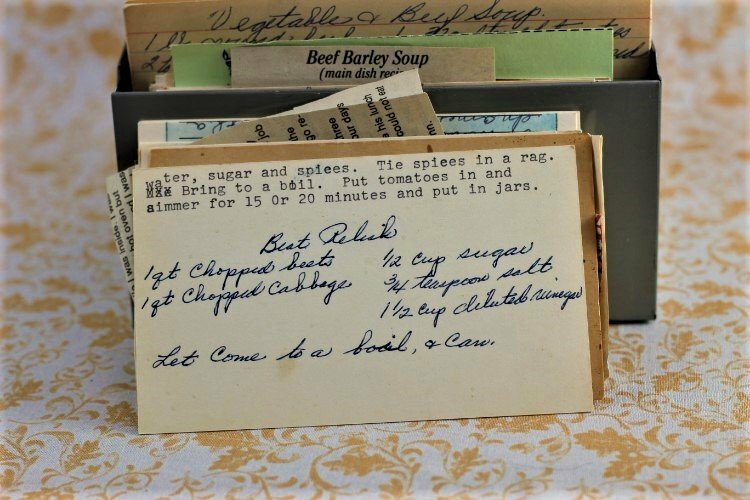 Back of the recipe card for Green Tomato Pickles. 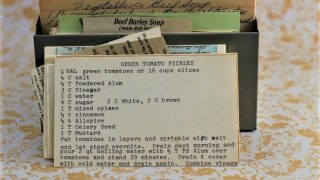 There are lots of fun recipes to read in the box this recipe for Green Tomato Pickles was with. Use the links below to view other recipes similar to this Green Tomato Pickles recipe. If you make this Green Tomato Pickles recipe, please share your photos and comments below! Put tomatoes in layers and sprinkle with salt and let stand overnite. Drain next morning and pour 2 qt boiling water with ½ T Pd Alum over tomatoes and stand 20 minutes. Drain & cover with cold water and drain again. Combine vinegar, water, sugar and spices. Tie spices in a rag. Put tomatoes in and simmer for 15 or 20 minutes and put in jars.